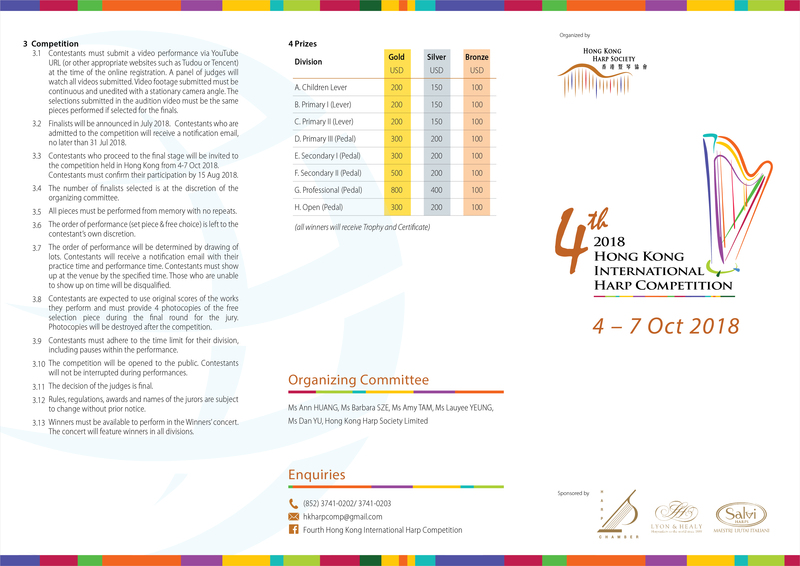 The Hong Kong International Harp Competition aims to encourage harp students to strive for a high level of artistic achievement. 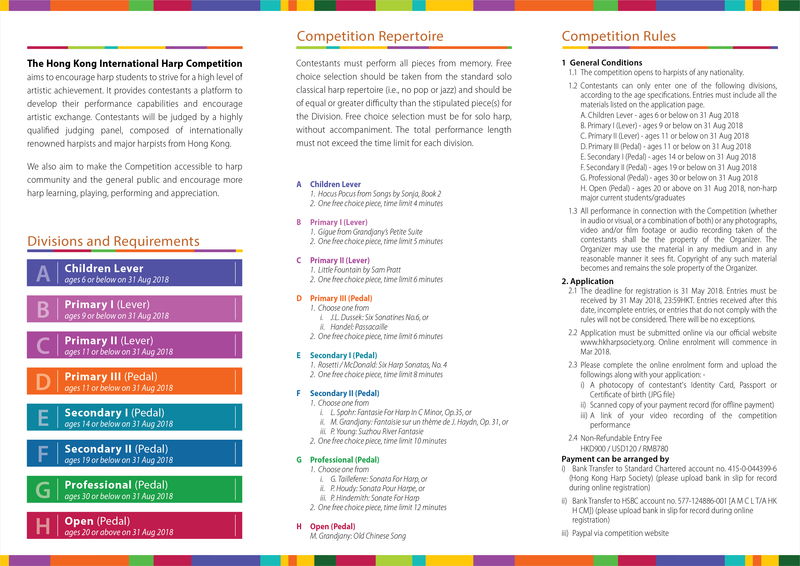 It provides contestants a platform to develop their performance capabilities and encourage artistic exchange. 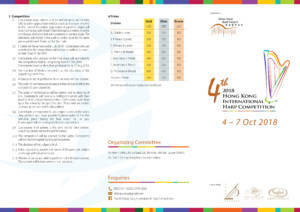 Contestants will be judged by a highly qualified judging panel, composed of internationally renowned harpists and major harpists from Hong Kong. We also aim to make the Competition accessible to harp community and the general public and encourage more harp learning, playing, performing and appreciation. Contestants must perform all pieces from memory. Free choice selection should be taken from the standard solo classical harp repertoire (i.e., no pop or jazz) and should be of equal or greater difficulty than the stipulated piece(s) for the Division. Free choice selection must be for solo harp, without accompaniment. 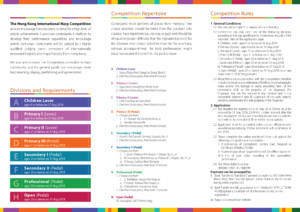 The total performance length must not exceed the time limit for each division.